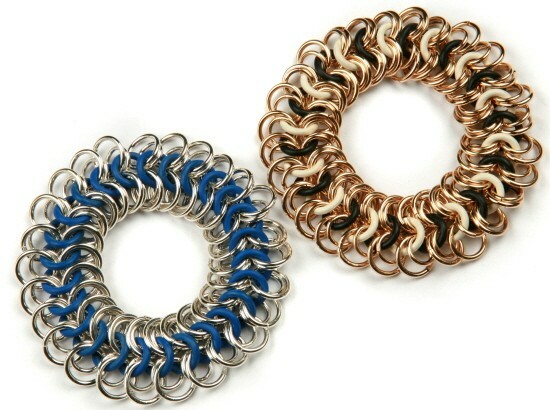 The Stretchable Nested Bracelet was created in 2007. It combines the European weave with rubber rings to make an endless stretchable bracelet. Note the "animal print" feel of the yellow gold filled bracelet above. The sterling silver and blue bracelet is very denim friendly. This is not the best bracelet to make for ones first chain mail project, but I consider it an advanced beginner project.